Are you a talented young classical singer? The Sydney University Graduate Choir invites you to apply for the Joan Carden Award 2019. Don’t delay – applications close cob 26 April 2019. An important objective of the Choir is ‘the encouragement and promotion of choral music in Australia through … the development and sponsorship of young singers’. With this in mind, in 2004 an annual award was established to provide financial encouragement to an outstanding young classical singer. Australian soprano icon Joan Carden AO OBE graciously agreed to lend her name and, most generously, her time as judge to the award. The winner of the inaugural Joan Carden Award in 2005 was soprano Lucinda-Mirikata Deacon. The judging panel was chaired by Miss Carden and included Music Director Christopher Bowen OAM. The prize of $1500 was drawn from a fund that the Choir, with support from the Chancellor’s Committee of the University, had set up primarily for this purpose – the Joan Whittaker Memorial Fund. Ms Deacon was invited to perform with the Choir at its next concert, A German Requiem by Brahms, where she was greeted with enthusiasm by the audience in the University’s Great Hall. Over the years, interest in the annual Joan Carden Award has grown, and the participants, drawn from the Sydney Conservatorium of Music (which has also regularly provided senior staff as judges), have made a significant contribution to Australia’s classical music culture. As a result of this success the Choir, in consultation with Miss Joan Carden AO OBE, extended the format of the Award from 2015. The intention is to broaden the pool from which competitors are drawn and to bring the pleasure of hearing these wonderful young voices to a much larger audience through a public competition with finals held during one of the choir’s subscription concerts. From 2015 the Award would take place every two years, with a prize of $6000. In 2015 a ‘Peoples’ Choice’ prize was introduced, awarded on the basis of an audience ballot. In that year it was won by soprano Morgan Balfour. In 2015, Ashlyn Tymms was assisted by her JCA win to take up her scholarship at the Royal College of Music in London. She returned to sing the mezzo solo in August 2016, having previously sung in one of the Choir’s most outstanding performances – Dvorak’s Stabat Mater in 2015. In this performance, the Soprano was the inaugural JCA winner, Lucinda-Mirikata Deacon. Rachel Bate, Emma Moore and Anna Dowsley all won the prestigious Australian Singing Competition in the year of their success in the JCA. Emma Moore has been making a career in Germany since that time, and returned to sing a soprano solo part in the choir’s December 2015 performance of Handel’s Israel in Egypt. Anna Dowsley was selected for the OA’s Young Performer Program following her year overseas in the USA and Italy. She is now a Principal with OA and returned from the US to perform with the OA in 2017. Anna has sung a number of solo parts with the choir in their Great Hall Subscription Series, most recently in May 2016. 2008 winner, Jinhee Uhm, now known as Eva Kong, is also a Principal with OA. 2017 JCA winner, tenor Joshua Oxley, performed as a soloist at the Choir’s May 2018 performance , featuring works by Mendelssohn and Nicolai, was a finalist in the City Of Sydney Opera Scholarship 2018 and has performed for Opera Australia as Bathasar Zorn in Die Meistersinger von Nurnberg and as Tamino in the Magic Flute. Barbara Jin has performed the role of Nicklausse in The Tales of Hoffman for Rockdale Opera in 2018. All JCA winners have subsequently sung solo parts in the choir’s performances, and continue to return when possible. Choir members are enthusiastic about following the careers of singers whom we have supported in the early stages of their careers. Joan Carden was born in Melbourne in 1937 on the anniversary of the great composer Giuseppe Verdi’s birth. After understudying June Bronhill in Australia as ‘The Merry Widow’ in 1960, inspired by witnessing such expertise, Joan Carden sought tuition in London from 1961 with her major musical influence, London-trained and based, West Australian-born, multi-lingual, expatriate vocal coach, Vida Harford. Joan Carden appeared in opera and concerts in Europe before initially joining The Australian Opera (TAO) in concerts in 1970. The following year marked her stage debut with TAO as ‘Liu’ in Turandot and ‘Marguerite’ in Faust. 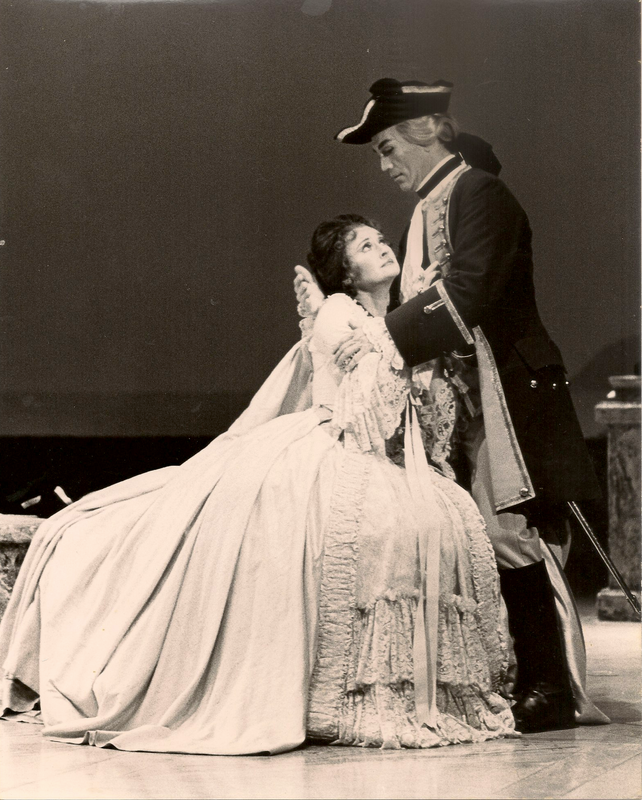 After much acclaim in Australia as ‘Gilda’ in Rigoletto under the baton of Mark Elder, she was invited by conductor Edward Downes to repeat the role at Covent Garden in 1974. Engagements ensued throughout the United Kingdom and United States. At Glyndebourne Festival in 1977, she appeared as ‘Donna Anna’ in Sir Peter Hall’s production of Don Giovanni, conducted by John Pritchard, followed by her American debut as ‘Amenaide’ with Houston Grand Opera with Marilyn Horne in Rossini’s Tancredi. In 1978 she toured the US with Metropolitan Opera as ‘Donna Anna’, conducted by (Sir) John Pritchard, after appearances in UK with Scottish Opera as ‘Constanza’ in Mozart’s Abduction from the Seraglio. 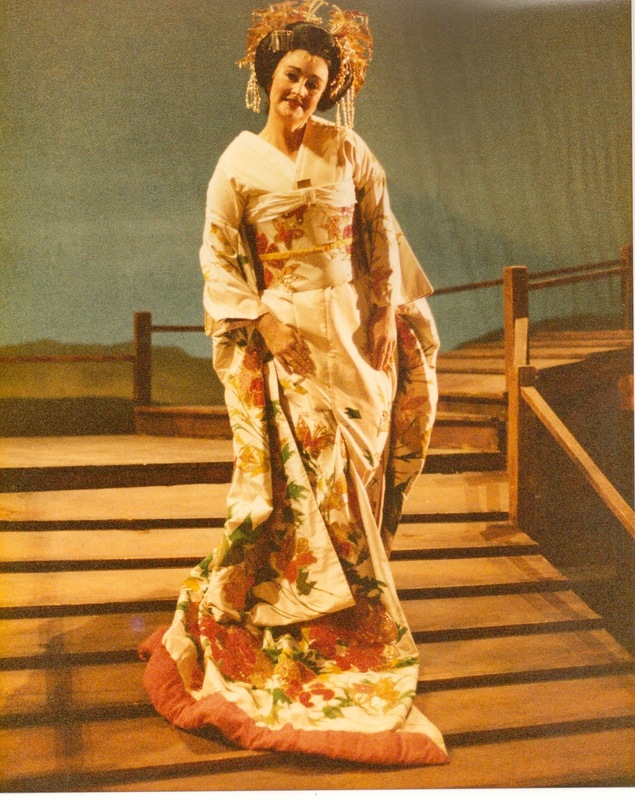 Also in 1978, she returned to Australia for her role debut as ‘Madama Butterfly’ under the baton of Carlo Felice Cillario, for TAO, said to mark one of the high points of her career as a major interpreter of Puccini heroines. 1980 marked Miss Carden’s debut with both Washington D.C. National Symphony Orchestra at the Kennedy Centre, and Britain’s Opera North, appearing in the 4 demanding soprano roles in Tales of Hofmann in English later in French for TAO. In 1982 she appeared with Greater Miami Opera as ‘Amelia’ in Simon Boccanegra with Cornell McNeill, conducted by Nicola Rescigno. Joan Carden has sung virtually all the Mozart heroines. Her performance of ‘Violetta’ in Verdi’s La Traviata has been noted for the moving interpretation. Her voice in ‘Violetta’s’ famous aria, is on the sound track of the film Priscilla, Queen of The Desert. She has sung more than 50 major roles from the 18th century through to contemporary works , including: ‘Desdemona’ (Otello); ‘Leonora’ in both Il Trovatore and La Forza del Destino; ‘Elisabetta’ (both Don Carlos and Maria Stuarda); ‘Rosalinde’ in Die Fledermaus, ‘Feldmarschallin’ (Der Rosenkavalier) and ‘Ellen Orford’ (Peter Grimes); ‘Tatyana’ (Yevgeny Onyegin)- in Russian and English. Other title roles include Alcina, Lakme, and Adriana Lecouvreur. 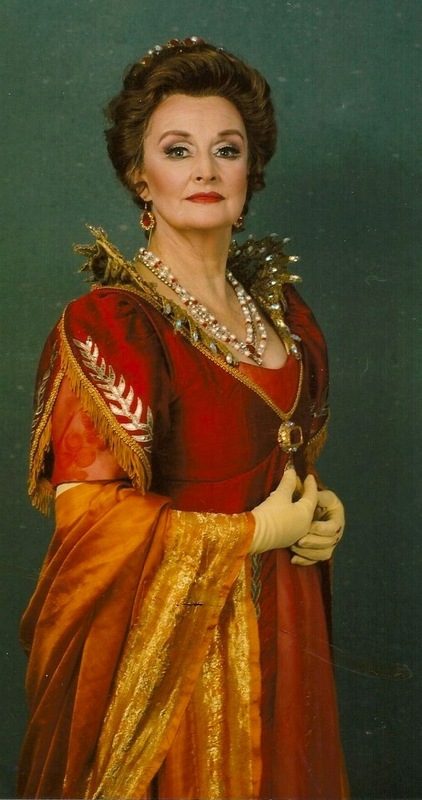 In 1995, four months after a sextuple heart artery bypass, she added the title roles of Tosca , then Medee. Joan Carden has appeared with all major Australian opera companies. In 1989, Victoria State Opera featured her role debut as ‘Musetta’(La Boheme) with friend from London Opera Centre, Dame Kiri te Kanawa as ‘Mimi’. This was telecast nationally, as was her ‘Desdemona’ and ‘Violetta’ for TAO. 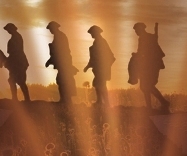 Numerous concerts in Australia include Australia’s Bi-Centenary Celebration of a Nation with Sydney Symphony Orchestra, telecast internationally. Other performances were with Opera Australia: New Year’s Eve 1999 Gala at Sydney Opera House, Tosca in Sydney and Melbourne, and ‘Countess Almaviva’ in The Marriage of Figaro in Melbourne. Moya Henderson’s Jubilee Mass, celebrating the founding bi-centenary of the Society of Sisters of the Sacred Heart, was composed for Joan Carden to sing at Sydney’s St. Mary’s Cathedral in June, 2000, and repeated in 2002 for that Order’s Australian Bi-centenary. Other credits include concerts with numerous symphony orchestras (the BBC, Melbourne, Sydney, plus I Solisti Veneti [Italy], Hunter and Australian Chamber, Sydney Philharmonia) and concerts with jazzman James Morrison at Queensland Performing Arts Centre, Sydney Opera House and Parliament House, Canberra in honour of U.S. President George Bush’s visit. In 1993 Joan Carden sang under the baton of Sir Charles Mackerras with Jose Carreras at the Royal Opera House, Covent Garden for The Australian Music Foundation and the tenor’s own Leukaemia Research Foundation. The Carden Leukaemia Research Fellowship, instituted by Miss Carden’s great uncle (1935 Melbourne City Councillor, George F. Carden) funded Dr. Donald Metcalfe’s ground-breaking research over many years, culminating in his discovery of the C Factor saving the life of Jose Carreras and countless other sufferers. In 2000, engagements included the state occasion consecrating the new precinct at St. Mary’s Cathedral and lighting of the new spire, Opera in the Vineyards at Wyndham Estate, and, for OA’s New Year’s Eve Verdi Gala at the Sydney Opera House. 2001 saw Miss Carden repeat her acclaimed ‘Ellen Orford’ in Britten’s Peter Grimes, and singing the scena written by Nigel Butterley with her in mind, The Owl, conducted by Simone Young. She also appeared as Mother Abbess in Gordon/ Frost Organisation’s The Sound of Music in Adelaide, following an earlier last minute dash to that city, to save the premiere of South Australian Opera’s Tosca at a few hours notice, when scheduled soprano, Deborah Riedel, suffered a relapse of the condition that ultimately took her life. 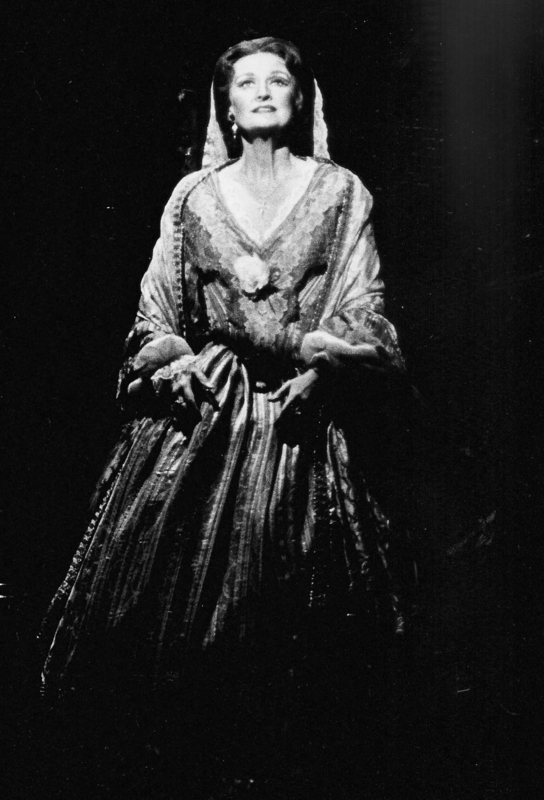 Due to local policies, Joan Carden announced that her Tosca in OA’s 2002 season would be her last in a major role. She was awarded the Opera Australia trophy at Sydney Opera House, featured on national television. In 2003, she took on a last role for Opera Australia—‘Public Opinion’ based on controversial political figure, Pauline Hanson, in Jonathan Biggins and Philip Scott’s satirical new version of Orpheus in the Underworld. On June 2nd 2003, Joan Carden sang at a ceremony in Melbourne Town Hall to launch Australia Post’s new series of stamps for the 50th anniversary of Queen Elizabeth II’s coronation. LPs – ‘Stars of Australian Opera Sing Verdi’ (cond,Eric Clapham); ‘Joan Carden Sings Mozart’ (cond. John Harding), later an ABC CD compilation of Mozart Arias; Nigel Butterley’s 23 minute scena The Owl commissioned for her by Stuart Challender/The Seymour Group; TAO’s ‘Mozart Bicentennial Celebration’; CD- ‘Italian Opera Arias’ for ABC Classics and Walsingham Classics’ ‘Great Opera Heroines—Joan Carden’, ABC Classics 2013 compilation CD ‘Nessun Dorma’ features her ‘Sempre libera’ from La Traviata. A biographical feature film of Miss Carden’s life, The People’s Diva, was telecast nationally in 1990. 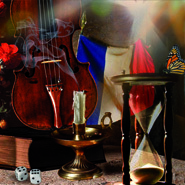 La Traviata, ‘Australian Opera Favourites’ and ‘Celebration of a Nation’. 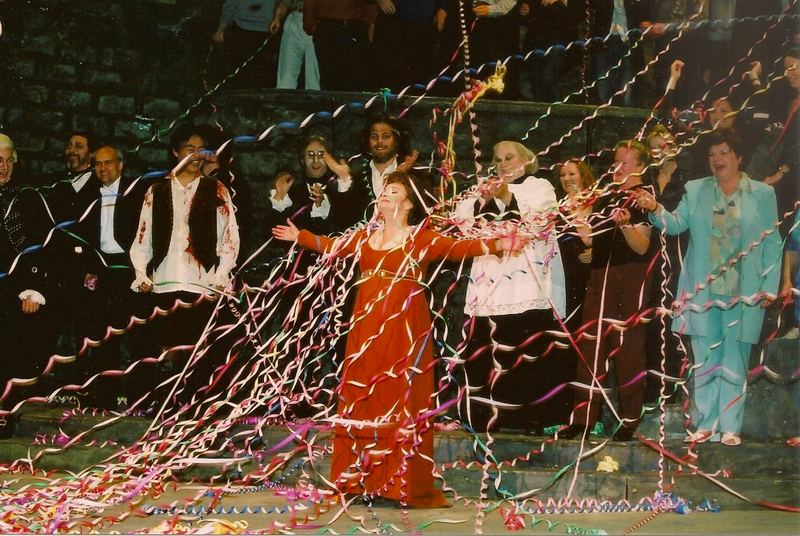 In June, 2000 a film telecast nationally depicting preparation and presentation of Opera Australia’s 1999 John Copley production of Puccini’s Tosca, featured Miss Carden in the title role, creating great interest at both Sydney and Melbourne Film Festivals. Miss Carden has also received the Australian Government’s Centenary Medal. Since 2005. Sydney University Graduates Choir has sponsored The Joan Carden Award for aspiring singers. The Australian media dubbed Joan Carden ‘The People’s Diva’. In March 2013, ABC Classic FM radio broadcast, in a series commemorating Australian operatic history, two interviews with Miss Carden. 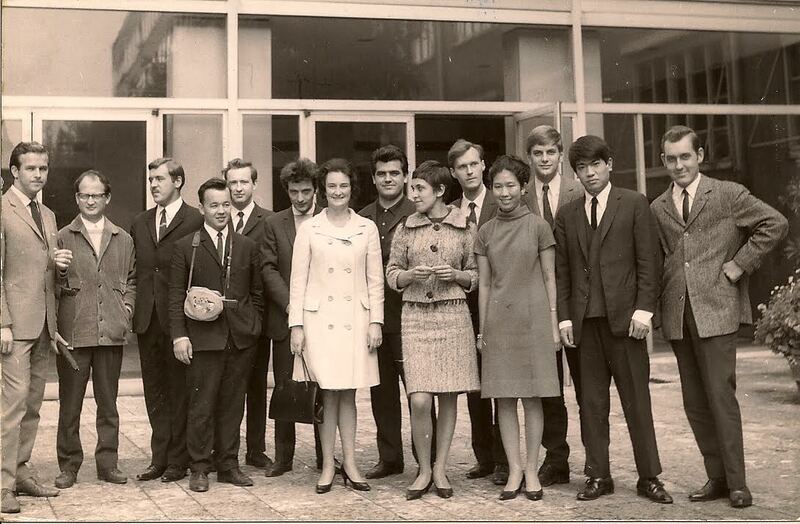 2) Dr. Ana Carden-Coyne, born Watford , Herts. 1969 (cultural historian). Her son was born in the UK in 2012.In 2006, having set up at Manchester University, their Centre for the Cultural History of War, Dr Carden-Coyne is currently Senior Lecturer/Co-coordinator, at the University’s Centre for Interdisciplinary Research in the Arts (CIDRA), now also Director of External Studies.